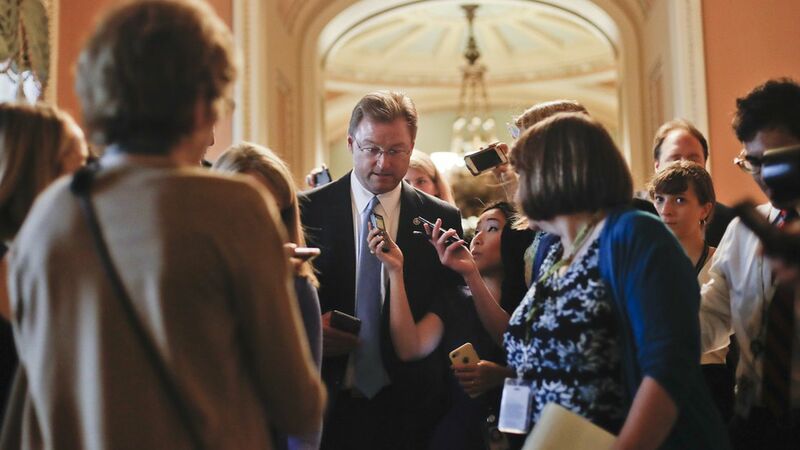 Nevada Sen. Dean Heller, a key swing vote in the GOP's current effort to repeal and replace the Affordable Care Act, received a threatening note on the door of his Las Vegas office after a break in at the federal complex where it is located, Jon Ralston reports for The Nevada Independent. A law enforcement source told Ralston the note came from someone claiming they would lose their health care and die if the Republican bill became law — and threatened Heller's life as well. Why it matters: With the Senate vote delayed indefinitely due to John McCain's recent surgery, tensions surrounding the bill are continuing to spill over around the country, and extra precautions are in order after the shooting last month at a Congressional baseball practice.